The "1812 Overture" is a wonderful piece of music, and is usually the best part of the show. Not this time, though, with Hayley singing! Curiously, this appears to be a Bulgarian website. PBS came out with a "Promo" for the event and Hayley received a prominent mention. Edited post to hide separated link. This is a wonderful find ! Thank you. The two "Capitol Fourth 2008" previews (on the left side) are exciting. Note the V4.5 software shortens the displayed url, but the link still works perfectly. 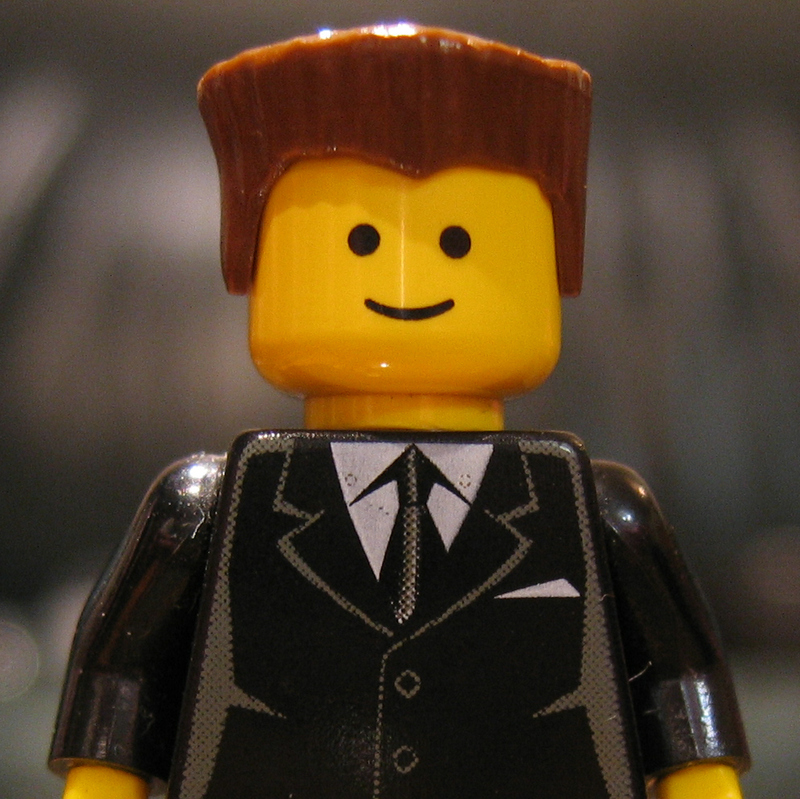 This method now works with commas and other symbols that break the url. Thanks Joe and Richard. Wish I could get to the Capitol to see her, but I'm 1131 mIles away by car (over 17 hours of driving one way) and can't afford the fuel, so I'll definitely be watching on PBS. Since Hayley has already sung for the Queen (several times) and the (UK) Prime Minister and the President (of the US), I will work on getting her invited to sing for the Pope. Since she's popular in both Italy and Germany, maybe she could sing both an Italian and a German song for him, plus a Latin song such as Ave Maria (I like the Perry Como version the best) or Benedictus (since Benedict is his new name) or even Dies Ire or Pange Lingua, or in English, Mary, Did You Know? She could even do another duet with Andrea Bocelli. I believe that Hayley could be invited to sing some of these songs to him in a private performance, and others during a worldwide service viewed by hundreds of millions if done during Easter or Christmas season. A papal performance would expose her to the world's one billion Catholics (I'm assuming that she is Anglican) and might go a long way toward healing some of the rifts between the two religious bodies. And best of all, hearing Hayley sing might bring a bit of joy to the old man, and get him to lighten up a bit. I'm quoting these two posts from a duplicate thread which I've locked. I was just wondering if anyone knew what Hayley will be doing on her Fourth of July concert in Washington D.C. Will she just be singing the national anthem or will it be more than that? Actually, we don't even know if Hayley will sing the anthem. It is a possibility, yet we do not know for sure. Personally, I am, thinking that Hayley will either sing a patriotic song (but not the anthem), maybe a relatively unknown one; or a song from her new album that will be on the U.S. version and was probably written by Hayley herself. But these are just speculations. PBS will air "A Capitol Fourth" LIVE from 8 to 9:30 PM then rebroadcast the event from 9:30 to 11:00. Also, many stations may re-air several more times overnight, my station WVIA will do so at 1:30 and 3:00 AM. Find daily and weekly program schedules for your PBS station...click HERE . This is a tad bit off topic, but emimusic.de/celticwoman/fotos has some really nice giant photos; all are at least as large as that one is. From someone who has watched A CAPITOL FORUTH on PBS for many years, I cannot tell you how thrilled I am to hear that Hayleey will be singing. Sadley, I doubt she will sing the anthem. Usually the Anthem is sung by either a group of service men and women, an American singer or the orchestra and the crowd that is there. However, in the past the whole cast takes part in singing GOD BLESS AMERICA at the end, so it is likely that Hayley will sing one song or patriotic song plus join in GOD BLESS AMERICA. July 4th is a unique ceebration in America and is celebrated in large cities and very small towns. I live on a small Island and we will have a 30 minute parade that will have everything from our service men/women at the beginning to little kids on bikes. It is the greatest thing in the world...to me. I look forward to hearing what Hayley sings. I am sure she will not dissappoint. Emmy and Golden Globe Award winner Jimmy Smits, who made his Broadway debut in Anna in the Tropics, will host the annual PBS special "A Capitol Fourth." The fireworks extravaganza — filmed live at the U.S. Capitol — will air on PBS stations around the country July 4 from 8-9:30 PM ET; check local listings. The 90-minute special will boast performances by Tony Award winner Brian Stokes Mitchell, "American Idol" winner and current Grease star Taylor Hicks, opera singer Harolyn Blackwell, Huey Lewis & The News, Jerry Lee Lewis, Hayley Westenra and figure skater Scott Hamilton. Erich Kunzel will conduct the National Symphony Orchestra. The program will also capture fireworks displays at various landmarks in the national's capital. Eighteen TV cameras will be stationed around Washington, DC, with filming from the U.S. Capitol, the White House, the Washington Monument and across the Potomac River. In a statement host Smits said, "I am honored to host 'A Capitol Fourth' live from our nation's capital. You don't want to miss this year's all-star cast and the most amazing fireworks display ever. I hope you'll join me and the millions of Americans watching at home in what is truly America's biggest birthday party." "A Capitol Fourth" can also be heard live in stereo over National Public Radio and is broadcast to U.S. military personnel in more than 175 countries and aboard 140 U.S. Navy ships at sea on the American Forces Network (AFN). 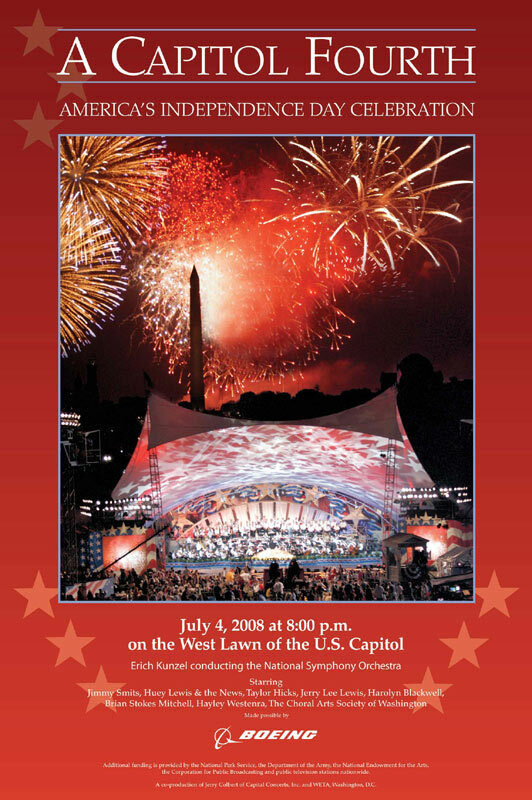 The PBS Capital Fourth website has been updated with details on the 2008 concert. There is a biography and a small picture of Hayley on the site. 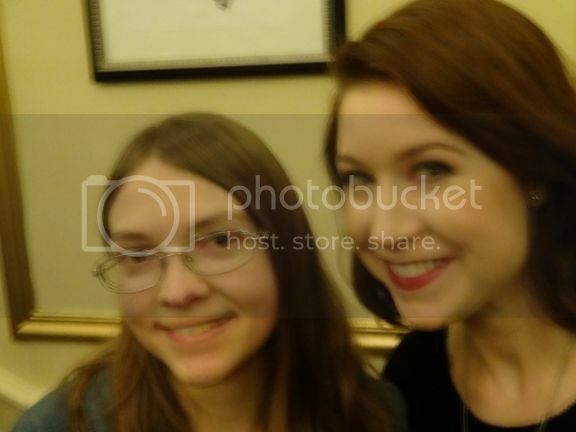 Hayley Westenra's debut international album Pure entered the UK pop album charts at number eight and the Classical Charts at number one, making her the fastest-selling debut classical artist of all time and one of the world's most exciting singing sensations. Along with her second album, Odyssey, Westenra has achieved combined worldwide sales of more than three million albums. Her third album, released in 2007, featured her interpretation of the traditional songs of her native New Zealand and Ireland, as well as popular opera arias. The year 2007 also saw Westenra joining the U.S. tour of Celtic Woman, featuring Irish vocalists and fiddle players. She has performed for Britain's Queen Elizabeth and Prince Charles, former British Prime Minister Tony Blair, President George W. Bush, former Secretary of State Colin Powell and current Secretary of State Condoleezza Rice, and at venues ranging from Carnegie Hall, the Sydney Opera House and Wembley Arena to the Royal Albert Hall. She has sung duets with Andrea Bocelli, José Carreras and Bryn Terfel. She has also appeared as a special guest with the world's leading orchestras, including the Moscow Philharmonic, the Boston Pops and the Royal Philharmonic. Westenra's extensive film and TV work has included an on-screen role in NBC's American Dreams, the theme song for Al Pacino's Merchant of Venice, two films for Disney and Terrence Mallick's New World. Hayley has performed national anthems before many major sporting events - including soccer tournaments (the FA Cup Final, the European Champions League and the World Cup Finals), baseball games and tennis tournaments (the Mercedes Cup in Los Angeles) - but her proudest duty is to sing the national anthem for her beloved All Blacks rugby team. Westenra is the youngest ever Goodwill Ambassador for UNICEF. Her Bikes for Ghana campaign has provided 6,000 bikes to help young Ghanaian girls attend school and find a better future. She has also been an Ambassador for Save the Children, Hong Kong, is a patron of the Raukatauri Music Therapy Centre in Auckland and is involved in the Women's Environmental Network. According to Newsobserver.com, Hayley will perform patriotic music with the National Symphony Orchestra under conductor Erich Kunzel's direction.